The following are answers to questions that are frequently asked about Omnidex, drawn from our sales and support requests. 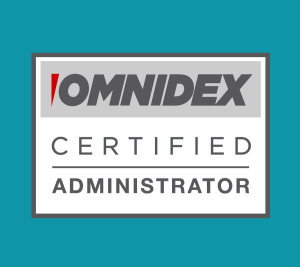 Is Omnidex a database management system? 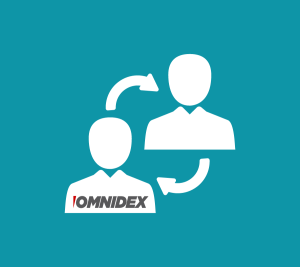 Omnidex can be a database management system, but it can also work to improve the performance of an existing relational database management system. Omnidex provides a complete SQL Engine and Optimizer, along with standard ODBC and JDBC connectors. This SQL Engine can be used to optimize queries to an existing relational database. This SQL Engine can also directly access raw data files or delimited files, allowing Omnidex to be the entire database management system. Is Omnidex a NoSQL database? Omnidex is a hybrid between a relational database and a NoSQL database. 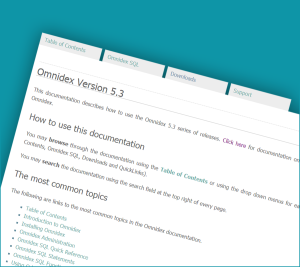 Omnidex supports traditional tables, columns and rows, accessed through standard SQL statements. In fact, Omnidex can be used alongside a traditional relational database and improve the query performance. At the same time, Omnidex can retrieve directly from raw data files and delimited files, and Omnidex provides a wide variety of flexible text search capabilities. Does Omnidex use its own proprietary data storage method, and do I have to convert my data into Omnidex? No, Omnidex does not use a proprietary data storage method. Your data resides in an existing relational database, such as MySQL, Oracle, SQL Server, or any database that can be accessed from an ODBC driver. Alternatively, your data can reside in raw data files or delimited files and Omnidex will provide a complete SQL engine directly to these files. Does Omnidex host my data? No, Omnidex does not host your data. Omnidex is a database add-on software product that you install on servers that you control. What operating systems and databases does Omnidex run on? Omnidex runs on Microsoft Windows and Linux. Yes, Omnidex supports ANSI SQL as its access language. Omnidex also supports some extended syntax from other relational database and also has extensions of its own. No, Omnidex does not support JSON/BSON; however, there are a wealth of third-party or open-source layers that can convert ODBC and JDBC results into JSON/BSON. Does Omnidex have an ODBC or JDBC connector? Yes, Omnidex provides both an ODBC and a JDBC connector. PowerSearch is a feature of Omnidex that allows flexible searches against databases. PowerSearch uses capabilities like synonym lists, phonetic searches, misspelling searches, transposition searches, and geographic proximity searches to find data, even if it doesn’t exactly match the original search criteria. A simple example is finding a person named “William Myers” on “825 5th Ave, New York, NY 10021” using criteria of “Bill Meyers” on “852 Fifth Avenue, New Yrok, NY, 10022”. In this example, the criteria has many mistakes, including a different name, street number, street name, city and zip code”. PowerSearch can be customized for each database, and Omnidex administrators can create their own custom synonym lists and fuzzy search instructions for each application. ActiveCounts is a feature of Omnidex that allows users to drill down through search criteria into their database. ActiveCounts allows an application to present search criteria choices with real-time counts for each choice, even on very large databases. This allows the user to decide how they want to drill down into their database while being informed by accurate and real-time counts. Does Omnidex support online updates? Yes, Omnidex supports online updates through standard SQL statements, such as INSERT, DELETE and UPDATE. 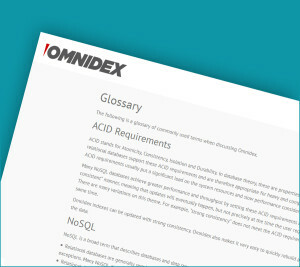 Omnidex does not support transactions, though, and is not ACID-compliant. There are also some performance features of Omnidex that do not support online updates, but these performance features are always optional. Omnidex has four classes of licenses: Starter, Small Business, Enterprise and Developer. These license classes are available in monthly or annual subscriptions, and are also available as a one-time purchase. These license classes are described in detail on our Pricing page.